Charles Grodin seems to have retired from acting permanently. That’s a damned shame, but his intellect appears too restless to be locked down to one profession. In his collaborations with Elaine May (The Heartbreak Kid, Ishtar), his singular Saturday Night Live hosting gig, and his awesomely faux-antagonistic appearances on Johnny Carson’s The Tonight Show and Late Night With David Letterman, Grodin helped perfect the comedy of awkwardness, avoiding conventional comedy rhythms while savoring tension and uncomfortable silences. And he made indelible impressions on moviegoers in Rosemary’s Baby, Catch-22, and 1973’s brilliant The Heartbreak Kid. 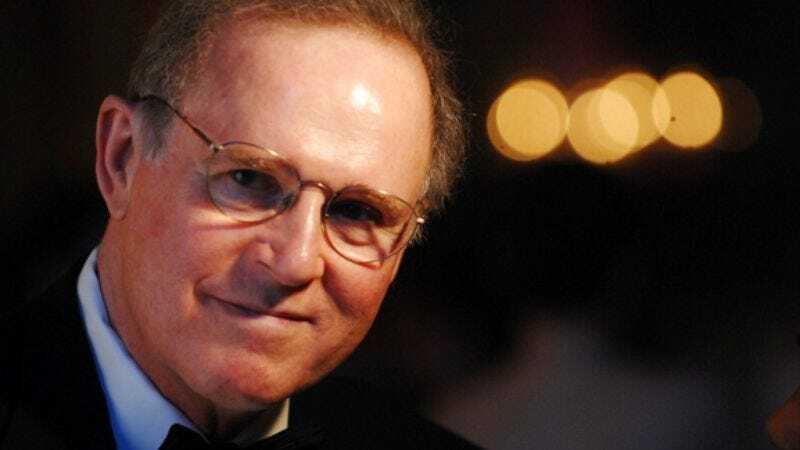 After turns in Albert Brooks’ prescient satire Reel Life, The Great Muppet Caper, and 1988’s beloved Midnight Run, Grodin all but disappeared from film, but he maintained a high profile by writing memoirs, becoming a columnist, hosting his own talk show on MSNBC, and becoming a commentator on 60 Minutes II. The A.V. Club recently talked with Grodin about his new memoir, How I Got to Be Whoever It Is I Am. The A.V. Club: How did this latest book come about? Charles Grodin: I had written—my son teases me about it—I had written other memoirs in the past, and I wanted to write this book, because I’ve come to the point where I started to realize that things were changing, that I was getting different perceptions, and I looked back on everything, starting with being impeached as president of my fifth-grade class. I started to understand more how I got to be whoever it is I am. So I looked at these events of first being impeached—the teacher said for talking incessantly—at age 10. I don’t think I was talking incessantly; I probably was asking too many questions, because that happened again when I was 11, and I was thrown out of Hebrew school because I asked the rabbi what the Hebrew words meant that were on the blackboard. I must have asked too many times, and he resented it and kicked me out. Then I went to another rabbi, which was a better situation. And then in high school, in economics class, Mr. Kennedy would throw me out regularly, again, for asking questions. I always got high grades, and I assumed that if I didn’t understand something, other kids wouldn’t either. Since I was also at that time class president, I’d show up in the principal’s office, and he never knew if I’d been thrown out of class, or if I was there to discuss class business. Looking back on all that, I realized that it manifested itself at age 10 and never stopped, this asking questions. So when I got up to New York and began to study acting with Uta Hagen, I dared ask her, “Why are we being asked to carry imaginary suitcases and open imaginary windows?” She deeply resented the questioning, but she didn’t throw me out, she just threatened me for three years and was really abusive. I, to this day, don’t think there’s anything wrong with those questions. I think they’re good questions. In fact, she dropped those exercises. By the time I got on to Lee Strasberg and people were being asked to take imaginary showers, I chose not to ask anymore. I don’t think he noticed that I never took one. I also never got up onstage, sat on a chair, and tried to fall asleep—that was a relaxation exercise—because I didn’t believe in that, either. I just didn’t say anything. After a short period, he started to look at me and say, “Do what he does.” That was a big affirmation. Lee Strasberg would ask the other students to watch what I was doing. I don’t consider myself a rude person or hostile or anything. These were sincere questions, and there weren’t really good answers, and I think that people should understand that most of the people overwhelmingly who teach acting never made a living as an actor. The people at the Pittsburgh playhouse were just filled with ridicule and abuse, which I’m told is not that unusual in acting class, but they never made a living as actors. It was just nonsense, what they were doing. The good thing was that I was getting up in front of people in classes and doing scenes at a time where I wasn’t going to be hired. So by the time I actually auditioned for a Broadway show, I got the part. I was 27, but I was ready. They actually offered me the role right in the middle of the audition. There were people waiting to audition when they offered me the role, and that was a three-speaking-part role with Anthony Quinn and Margaret Leighton, a great British star. I played her son, and that was a standing-room-only hit, and that kind of got me going. Then in the second Broadway show I did, I don’t know what I said, but pretty soon I was included in the conferences between the director and the writer, even though I was a junior member of the company. One of the character actresses in it resented it. She was a friend of mine. She said, “You’re the juvenile in the play. What are you saying to these people?” I told her what I was saying, and she went, “Oh, that’s a good point.” The producer noticed this, and then he offered me a musical Off-Broadway to direct, and I became the co-author and director. So this business of asking questions—not to be rude, but just to get at the answers—is something that has actually served me well, and I realize that now, even though I took a lot of abuse for doing it. AVC: In the book, one of your defining characteristics is your relentless curiosity, the unwillingness to accept the status quo. CG: I really don’t. I don’t accept what people say. I took something to be copied recently, to be enlarged and blown up, and they said it couldn’t be done, and I went somewhere five minutes away, and they did it. I have a doctor on retainer now, because of various experiences where doctors say things that just aren’t true. I went up to Yale and had an MRI, I didn’t even ask why. The ear doctor told my doctor that he wanted to perform surgery on me for a brain tumor, and I didn’t have a brain tumor, I had no tumor of any kind. So I’m wary of people. I was taken to the hospital for special surgery around 1980 because I couldn’t move. A trainer just totally treated me like I was going for the decathlon. It got me to the point where I couldn’t even stand up. I couldn’t even move in bed. So an ambulance took me, and they were about to perform surgery on me, and as they’re wheeling me down the hall—even though I was completely drugged—I looked up and I asked, “Where are we going?” They said, “We’re going to give you a myelogram.” They inject dye in your system and then they locate where they’re going to operate. I said, “I haven’t agreed to surgery,” and they looked at me like I was nuts and wheeled me back in. The doctor, nice guy, came in and said, “I understand you think you don’t need surgery.” He said it pleasantly, but you know he thought I was nuts. I said, “I feel like since I’ve been in the hospital, my position in traction is different, and I can feel that it’s easing up and getting better.” He stares at me and says, “Let’s see,” and he takes my leg, he starts bending it back toward my chest, expecting me to say “Stop,” and I didn’t. And he bent it back way than he thought would be possible, and I remember his eyes widened, and he said, “Well, I’m always willing to learn.” So I didn’t have back surgery, just because I said, “I think I’m getting better without it.” In other words, I was thinking for myself. Even though I only played a doctor in Rosemary’s Baby and I’m not a doctor—I played a gynecologist—I just think for myself. Once I went to a doctor and he said, “How many women have you slept with?” I looked at him and said, “What’s the relevance of that question?” And he says to me, “There’s a lot of weird people in your profession.” I said, “There’s a lot of weird people in your profession.” It was nonsense. AVC: Where do you think this questioning nature comes from? CG: I really don’t know. I know that my grandfather was a Talmudic scholar—by the way, his name was Nathan—and was known “for his witty observations on the Torah.” Now there’s a line for you. I wouldn’t even dare read the Torah, let alone attempt a witty observation on the Torah. I think there’s something genetic there, because years later, the grandson—me—is under contract at Johnny Carson, my daughter’s a headlining standup comedian, and my son is funnier than I am, and he’s in the movies at 21. I think a lot of it, it’s just genetic. I don’t even begin to understand it. AVC: Do you think part of it is a cultural Jewish thing? CG: I grew up among a lot of Jewish kids, and… no. There were plenty of them that didn’t say anything. AVC: I’m thinking of the Passover Seder. So much of it is asking questions. CG: Well, I believe in that. I never mean to be disrespectful, and I don’t mean to be a wise guy. I just really am asking those questions. I really say what I’m thinking. I remember the first Beethoven movie, the director complimented me after a scene and said what he particularly liked about what I did, and I said, “Thank you, but I’d appreciate it if you wouldn’t do that, because that will tend to make me self-conscious. I’m not aware of what I’m doing; I’m just trying to be involved in the situation.” He thought I was really nuts. He was a nice guy, but you could see he thought I was crazy because I said that. Just say, “Fine, good, let’s move on.” That’s all I want to hear. If you want me to do something else, then tell me. Of course, I’m still like that, filled with questions, and I feel one of the big flaws everywhere, probably since the beginning of time, is that people speak up and say things, and they’re not really right. People holding forth on the stimulus package—I wouldn’t dare do that. I just couldn’t. I don’t know. I have a chapter in the book, “The All Knowing,” and I talk about Dr. Laura Schlesinger. She’s holding forth, giving people life advice. She’s talked to them for a few minutes, and she’s going on and on about what they should do with their lives. What she’s getting from that person is their side of a story. Before I met my wife, I was going with a woman—she was seeing a psychiatrist, and she asked if I would go talk to him. I said okay, so I walked in and he said, “Even though I just met you, I can tell you’re the kind of guy…” and he was completely wrong about everything! He just made no sense at all. And we’re filled with people like that. They just think they need to hold forth about whatever it is, but they don’t know what they’re talking about, and I don’t like it. I was on Mike Huckabee’s television show, and I appreciated hearing him say in the green room to someone, “I know I don’t know.” And that’s me. I know I don’t know about most things, but I’m trying to find out, so what I do talk about, I do know. For example, I know that the felony murder rule, which I write about in the book, was established hundreds of years ago in Europe. The concept was that if two people went into a bank and one of them killed someone, they’re both guilty of murder, which is something I can agree with. My brother, who is an attorney, doesn’t, but I can agree with that. However, all of Europe, Canada, India—every country in the world but America—has now gotten rid of that law because of its unintended consequences. We have three states in America—Kentucky, Hawaii, and Michigan—who have gotten rid of it. Forty-seven states still have it, including Florida, and here’s the most egregious example: Ryan Holle was a teenager who lent his car to his roommate and went to bed. The roommate goes out with others and commits a crime. Ryan Holle, who’s home asleep in bed, is serving life in prison with no chance of parole. When I tell people that story, they say, “The jury just didn’t believe he wasn’t there?” No, the prosecutor didn’t even claim he was there. The prosecutor simply said, “No car, no murder.” That’s the felony murder role. He had no record. He had nothing to do with the crime. He’s serving life with no chance of parole. Out in California, you have Brandon Hein, a teenager involved with a brawl with a bunch of kids. He’s a drunken kid, they’re all drunk, and one kid stabs another to get him off his little brother, and the kid bleeds to death. And Brandon Hein, who had nothing to do with the stabbing—the kid who did it admitted it—was sentenced to life with no chance of parole: a drunken kid in a brawl. That since has been changed to 29 years with a chance of parole. In the meantime, Brandon went in when he was 18. He’ll now be 32. He was drunk and got into a fight with a lot of other kids. That’s the felony murder rule. So that, I know about. That, I know is wrong. Just as 10 years ago, I knew that there were people in prison in New York because of the Rockefeller drug laws. I took cameras to the prison when I was doing my cable show, and interviewed four women, showed them to the Republican leadership, who agreed with me, showed them to Governor Pataki. Three were granted clemency immediately, the fourth the next year, and shortly after that, they changed the law, because of one of these women’s cases. That, I know about. But it’s not like I’m going to explain the theory of relativity to you. AVC: You went away from film for a very, very long time. You were in The Ex in 2006, but that’s the only film you’ve done since 1994. CG: When my son entered first grade, I didn’t want to travel anymore, so I started my cable show in New York. I did a movie a few years ago really as a personal favor to somebody. There was a whole personal story there I don’t want to go into. Somebody asked me, and I just chose to do it. I didn’t want to. It was a pretty good script when I read it. They re-shot most of it. They changed the story more than… I’ve never seen that in a movie. After a lot of tests of the movie, they were led to make changes, and the movie was in and out of the theaters within a week. So much for test screenings. In the original script we shot, Jason Bateman wasn’t faking that he had to be in a wheelchair. He was actually crippled and in a wheelchair. They have him faking, which makes no sense at all. He’s a good-looking young guy. Why would anybody pretend to be crippled? It made no sense. Jason, when they re-shot it, said, “Why don’t you have me hit by a bus?” So they did. Again, the movie came and went. Some people like it. They see it on DVD. It’s not something I wanted to do. You’re there 12, 14 hours a day. I don’t think the movie really turned out that well. But I did it for a personal reason, and that was that. AVC: Was there a lot of improvisation? CG: No, not in that movie. CG: In my case, there might have been. There usually is. CG: Oh yeah, sure, that was improvised. That was good. I became good friends with Jason Bateman from that movie. To make good friends with someone, that’s really something special. He’s actually in New York making a movie now, and is going to come up to my house on Saturday, so that’s a nice thing. AVC: It sounds like you don’t miss the business. CG: No, I don’t miss acting. I don’t even see movies. I don’t see plays. I don’t watch television. I read papers and magazines to prepare myself for the commentaries, but generally if I’m looking at movies, they’re one of four movies which I have the DVDs of, and that would be Waiting For Guffman, A Mighty Wind, Best In Show, and For Your Consideration. I really enjoy Chris Guest and Eugene Levy movies. Those are the best four movies for my taste. CG: “I know I should like you, but I don’t.” I probably say in the book why I felt that was. The way I talk to you is the way I talk to everybody. I really don’t look up or down at anyone. The fact that you’re Robert Altman… You’re a director who’s had success. I don’t go by status. I don’t know if this is in the book, but someone thought it was a good idea for the Duchess of Gloucestershire, Queen Elizabeth’s cousin, to meet me. We’re standing alone on a pedestal somewhere at the British Film Institute in New York, and she didn’t know what to say to me. I didn’t really know what to say to her, so I just asked her, “What is the main focus of your life?” I thought that was a perfectly okay question. She looked at me like I was really rude. She really was so shocked. She said, “My family.” And then she said, “I wouldn’t have asked you such a question,” suggesting I was being rude. “What’s the main focus of your life?” I said, “Family and friends,” and the world went on. I didn’t really understand what the problem was. What was so rude about that question? I have no idea. But people like Altman, and I’m sure there are others, are the same way. Someone arranged for me to meet Attorney General Holder a couple weeks ago in Washington. People had arranged it, they were nervous, was I going to be okay? You know, I’m working with a St. Bernard one minute and then I’m in Washington meeting with the Attorney General about the felony murder rule. I wasn’t nervous. I just wasn’t nervous. I knew what the questions were. I knew what I wanted to say to him, and we spent an hour together and I left. I knew what I was talking about. But I was quite prepared and I just told him the whole story of what I had to say and he seemed to be receiving it. People say, “How did it go?” I say it always goes well, but in the end you don’t know. Usually nothing happens. AVC: You hosted a unique Saturday Night Live where the idea was that you had missed rehearsal and were constantly screwing up. How did that come about? CG: I just got the idea that that would be funny, that I didn’t know it was live, that I had just come in from New York, and then I say, “This is live?” They asked me to do it again, but I chose not to, because I can do two things: I can learn a script, or I can improvise. But you can’t improvise there, because it’s all done to time, and you can’t learn a script, because they’re changing it, changing it, changing it, so you’re pretty much forced to read teleprompters, and I just didn’t want to do it again. But I liked the part with Paul Simon, who was my musical guest, and I’m up there sitting next to him with a Garfunkel wig on. Then we’re singing the song, and after three or four lines, he looks at me and says, “Chuck, you don’t even know the words!” And I said, “I’m learning them as we’re going, is what I’m doing here.” That was fun. But I’m quite happy. I do a commentary every day for CBS News Radio, and I wrote a column a week for the New York Daily News website, and I’m generally working on a book, and I have three or four plays, a couple of movie scripts. Then most of my energy and focus is on the justice system, and trying to get rid of this felony murder rule, which I just think is criminal. AVC: You’re obviously very passionate about it. In the book, it seems like you’re concerned that you’re taken less seriously because you’re an actor. CG: I once had a meeting with [former NBC News head Andy Lack], and he’s standing right in front of me telling me how he’s a big fan and how he considers Don Henley of The Eagles his guru. And he tells me that Don Henley watches my show every night, and if he can’t watch it, he tapes it. Then Don Henley said to him, “Did you hear what Charles Grodin said the other night?” And right in front of me, Andy Lack says, “No,” with real disdain, “I’m not watching him.” It’s because of the ego people have that I didn’t spend my life in the news business. They don’t understand that there are people who aren’t in the news business that might have more interesting things to say than they do. Just because you spent your life in the news business doesn’t mean you know anything. I spent most of my life in show business, but I knew much more about social and political things. Once I was making a movie, and [former studio executive] David Picker really thought the rough cut looked good. I knew David Picker, but I asked “What’s the significance of that, that he thought the rough cut looked good?” And they said, “He runs the studio.” I so don’t know what’s going on in show business. But I always have known much more about social and political issues. I never talked about it in social situations, so my close friend who became one of my producers said, “I was stunned. I’m sitting down at the camera, and there you are talking about anything and everything, and I never heard you say about a word about it.” Because I wouldn’t do that in a social situation. I went to a party recently, and the host said at some point, “I’d like to go around the table and hear what everyone feels about the election.” And I said, “May I use your treadmill?” I didn’t want to do that. I was out for an evening of fun with friends. I didn’t want to turn this into a discussion. It just doesn’t work for me. So I don’t really go out very much, and I don’t talk to that many people. CG: I think that’s probably more accurate, because a lot of my positions are more conservative, although people think I’m really left, left, left. But I’m not. The ACLU shut down a lot of psychiatric institutions many years ago, released a lot of mental patients on the assumption they would show up for counseling and take their own medication. Of course they didn’t. I lived on the Upper West Side of New York at that time, and you’d see these people walking around the street, clearly mentally ill. Now we’ve got mentally ill people confined in our prisons, and they throw their feces at the corrections officers. They’re ill. Then they lock them up in solitary confinement, and suicide is not unusual. This is so wrong. They belong in hospitals. And the corrections officers shouldn’t have to deal with something like that. I think a lot of people are sitting in prison who shouldn’t be. I think a lot of people are being released who are dangerous, and shouldn’t be released. I don’t think we’re on top of this at all. Is that liberal, is that conservative, or is that just common sense? AVC: It’s kind of a human issue. CG: That’s all it is. I directed a Simon and Garfunkel special when I was 34, and the representative of AT&T said I was using their money to sell my ideology. I really had no idea what he meant. I said, “What’s my ideology?” He said, “The humanistic approach.” I said, “You mean there are people against it?” and he said, “You’re damn right there are.” Because the sponsor was AT&T and they didn’t want to sponsor a show that was calling for equal rights for blacks in the South. They felt that would offend some of their Southern affiliates. I think they should be ashamed of themselves. I also think NBC should be ashamed of themselves, because they couldn’t wait to get rid of me and my cable show, because I dared have Robert Kennedy Jr. on talking about General Electric dumping PCBs into the Hudson River. It was legal when they did it, but Robert Kennedy was carrying on about that. They started an effort—and it wasn’t easy, because I was high-rated and always was nominated as Best Show—to get me out of there. So they moved me from 10 p.m. to 11 p.m., and then they moved me to once a week on MSNBC, and then got me out. A writer at New York Newsday said after that, it was all because of Robert Kennedy. I didn’t really know. I was ready to leave it anyway. The daily show was a lot. And then I’d realize, because I’d show up at parties in my area, and saw one MSNBC executive who couldn’t wait to get out of the room when he saw me. The other, oddly enough, was as warm as he could be. So there was obviously a difference of opinion. General Electric is still functioning, even though Robert Kennedy was on my show 10 years ago. They survived it. So what I’m saying is, free speech is more important than anything. AVC: In your book, you’re at one point referred to as Simon and Garfunkel’s Svengali. CG: They thought I had gotten to know these guys. They had never met Simon and Garfunkel. Nobody tells these guys what to do. They’re very, very strong-minded. They did what I wanted because they agreed with it. Svengali couldn’t be their Svengali, let alone me. Once again, people were convinced I had some secret agenda. This has happened before, where I’m just asking questions, and people think it’s really something else I’m doing. But it’s not. What you see is what you get, and what I’ve learned over the years is, that’s unusual. If say something, it’s the truth. If I tell you I’m going to do something, I will do it. If I’m going to do something, I’ll be prepared to do it, otherwise I wouldn’t get into that area. But I didn’t know that was unusual. And I think that’s had a lot to do with the success I’ve had, and I didn’t even know what I was doing was unique. But I’m now more aware of it. I was talking to a producer in Los Angeles about a year ago, and I’d never spoken to him. At the end of the conversation, he says, “I’ll call you next week. I have to hear your voice at least once a week.” He never called again. Now, a friend of mine auditioned for a movie shot in Toronto. They went crazy for him. They loved him so much. “See you in Toronto!” He never heard from them. So after that happens for a while, you start to get very wary of everything. Recently, I’ve had lunch locally with two potential backers of plays of mine. I don’t think they wanted to back my plays. I think they just wanted to have lunch with me. That’s my conclusion, because I never heard from them. CG: That’s a joke. I did that with Johnny Carson starting in ’73, and I do it with David Letterman now. I don’t feel confident enough to go out there just as… You know, we’re just talking right now. I’m not trying to bring you to laughter every two seconds. That’s what they want on those shows. I don’t feel like I can do that. So I just created this persona of this disgruntled guy, and I’m comfortable playing that role. One time on Letterman, I actually brought a vaudeville comic on as my attorney, threatening to sue Letterman for remarks that were made by Carol Burnett and Dabney Coleman on the previous week. AVC: Were you concerned about alienating audiences? CG: I wasn’t, because after my second appearance, Johnny Carson put me under contract. After my sixth appearance, he banned me. So I was under contract and banned regularly, until finally he got comfortable with me. We actually had dinner after he retired, and he wanted me to go on a safari to Africa with him. I chose not to. Sometimes I have to decide whether I want to go downstairs, let alone Africa. I grew up near a zoo in Pittsburgh, so I would hear lions roaring in the night as a child. I’m hardly going to go out where they’re running around free. It’s not my thing. I think I’ll just stay here. AVC: In the book, you talk about moving away from the standard sitcom rhythm in your work with Elaine May. CG: A lot of people don’t understand that, and they would attack me when I was first on Broadway, like, “I have no idea what he’s doing.” The audience knew what I was doing. The reception was great. I just wasn’t doing setup-punchline-setup-punchline. I was coming at it from the actual character, which would have a different rhythm. And a lot of people just had no idea what I was doing. They’d say, “It’s a comedy, Charlie.” I’d say, “I know.” I was doing what I believed was right. AVC: It seems like you’re comfortable being uncomfortable. CG: On talk shows. Otherwise, I’m not. AVC: That seems to be true in your films as well. CG: That’s different. That’s an acting role. People say, “How did you keep a straight face in that scene where you tore the bar apart in The Woman In Red?” I didn’t even think it was funny. It wasn’t hard for me to keep a straight face. I didn’t find it funny, destroying property to make someone laugh. I’m involved with the character. I thought the character in The Heartbreak Kid was a despicable guy, but I play it with full sincerity. My job isn’t to judge it. If it wasn’t for Elaine May, I probably would never have had that movie career. AVC: There’s a story in the book about your experiences with The Graduate. So he just thought I was going to be a tough customer, which isn’t true. I was actually right. They should not have asked me to screen test giving me 30 pages to memorize the night before. That’s a soap-opera demand. They didn’t do the right thing there. But I didn’t care, because shortly after that, I was directing on Broadway, and then I was in Catch-22, then The Heartbreak Kid. I have very good perspective. I never complain about anything, because I’m aware of what’s going on around me, and I’m also aware that there are a lot of very gifted people that never even get a job in show business. It’s just because they can’t handle the rejection, and I can handle it, and I’m used to it. AVC: Did a lot of Neil Simon’s script make it into the final film? CG: Well, I’m sure it did. In The Heartbreak Kid, [Elaine May] just let me say basically whatever I wanted to say. On the other hand, that was a script written by Neil Simon, who walked out on it early. During rehearsal, she had Jeannie Berlin, her daughter, and I rehearsing songs we would sing on the car going down on her honeymoon, and I remember Neil Simon saying, “Where does it say they sing?” He wasn’t around very much. So there’s a lot of improvisation in that movie. But what I’m confused about—didn’t they have a conversation before they started, to let Neil Simon know Elaine May’s intentions? I found that odd. How would you do that without saying “We’re not gonna say the words as written”? In theater you always do, and certainly we did in Seems Like Old Times, where I’m tapping Robert Guillaume’s shoulder as he plays the piano, and Neil Simon sends someone over and says, “Ask Chuck to stop tapping on his shoulders.” It was so controlling—I didn’t like that kind of thing. AVC: Being perhaps the most commercially successful playwright alive probably gives him that kind of clout. CG: It does, and he has every right to do it. I just don’t like to do it that way. I also didn’t know that his wife was dying during the making of The Heartbreak Kid. He’s had a tough time, illnesses of his own, and he’s obviously a brilliant writer. I just see things differently. If it was a Neil Simon play, I wouldn’t—you don’t improvise in the theater. CG: They can do anything they want, but I have the final word. And so does whoever the director is, or the writer. And I encourage people to do whatever they want, and ask me whatever they want. It’s a free exchange, and it’s fine, but somebody has to have the final word.